This is one of those cases when something gets too close for comfort. 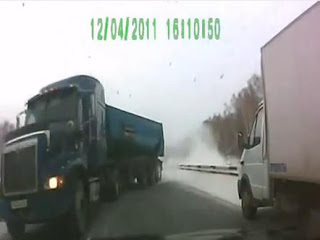 It involves two dangerous drivers, a lorry and a passenger car, wanting to overtake on a narrow, icy road in Russia. See how it goes down after the break.